Conveniently situated along the southeast United States coast, Hilton Head Island, South Carolina is known worldwide as a family destination. One of the best beach spots in the country, the island offers many opportunities to enjoy the ideal Hilton Head rentals vacation. Hilton Head rentals enable the whole family to wind down and enjoy their time away, and provide for budget-friendly, convenient accommodations close to the island's major attractions. 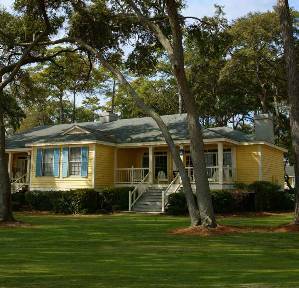 Whether it is a day at the beach or time on the golf course, Hilton Head Island offers a multitude of both. There are two dozen professional golf courses on the island so serious golfers can have their fill of activity. Miniature golf courses give kids the chance to get in on the fun as well, which can be a blast for the whole family. Being a family destination, Hilton Head Island offers a lot to do for kids, such as the Coastal Discovery Museum, an indoor playground, and The Sandbox, a museum dedicated to interactive exhibits for children. End the day with a quiet family dinner at Hilton Head condo rentals. A perk to these accommodations is that you can stock up on healthy foods and fix up a meal on your own time. Hilton Head Island boasts twelve miles of beach, with the opportunity to explore many different areas like the sand dunes and sand banks. Walk the beach to clear your mind. There are several beach areas located conveniently close to Hilton Head rentals and your choices include Coligny Beach Park, Fish Haul Park, and Driessen Beach Park. Pack a picnic lunch for the family before heading out to the beach, or set out on a sail boat or cruise on the water. Relaxation is hard to escape from and Hilton Head VRBO properties are perfect for families with children who just need to get away and relax in a space with superior amenities, compared to hotel or motel rooms. Land based activities on Hilton Head Island include walking the nature trails or biking. The whole family can take part in viewing loggerhead turtles or peaking out at the water to spot dolphins. There are also many chances to experience music and the arts as part of your vacation, so you can also be thoroughly entertained on Hilton Head Island as well. Hilton Head condo rentals are available in many options to accommodate the needs of the family and, compared to hotels and motels, can be more affordable considering what you get for the price. Plus, there is room for the whole family to be comfortable for their entire stay. Hilton Head rentals come in many comfortable options and make for a very different vacation experience than typical hotel or motel vacation accommodations. Speak directly with the rental owner and plan on a vacation that everyone will remember to look back on great times. You'll feel like you live on the island when you stay at Hilton Head vacation rentals, and totally forget about the usual routines. Check out nearby Charleston , Daufuskie Island , Kiawah Island , North Charleston , Seabrook Island , Tybee Island .